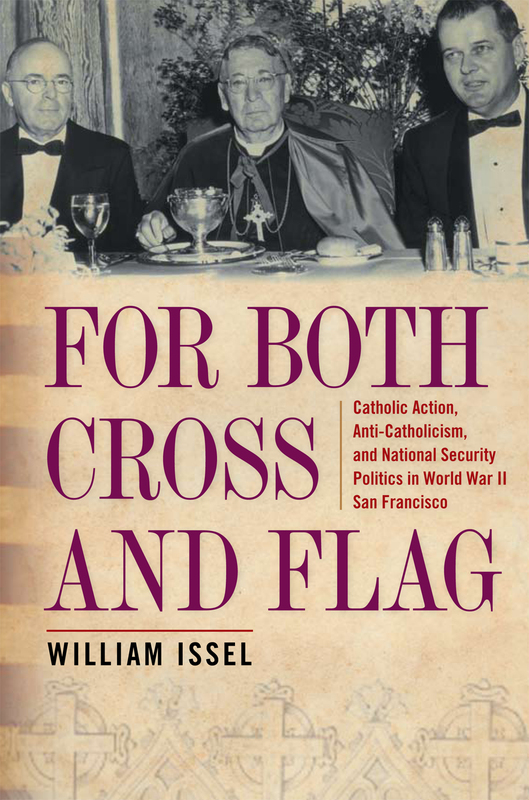 In this blog entry, William Issel author of Church and State in the City and For Both Cross and Flag, discusses how his books make a significant contribution to the California exceptionalism narrative. Because Church and State in the City is the first book to tell the story of the city’s distinctive history of church and state relations, it makes a significant contribution to the California exceptionalism narrative. The book details the many innovations in political activism that San Francisco Catholics created as they cooperated with, competed with, and sometimes accommodated to a variety of other San Francisco interest groups in the political give and take that marked the city’s history from the 1890s to the 1980s. This is done through mini-biographies of Church leaders and lay men and women whose relationships with business, labor, other interest groups, and city government, influenced politics and policy-making for nearly a century. Readers will come away with a more evidence-based and more nuanced understanding of the policy-making process in such areas as education, civil rights, housing, transportation, redevelopment, and the rights of black, Asian American, Latino, and LGBTQ residents. Church and State in the City also sheds new light, also by including detailed profiles about the most important transnational challengers of both capitalism and Catholicism during the twentieth century – socialist men and women, especially members of the Communist Party. One chapter details the ways in which women reformers from the Left, Right, and Center contributed to shaping politics and policy in the City from the 1890s to the 1980s. The book brings to life the ways that contests to define the public interest took on a distinctive character in San Francisco because of the particular way that struggles over power, privilege, and prestige involving capitalists, Catholics, secular liberals, and socialists and communists were fought out, in the context of national and international events, from the 1890s to the end of the 1970s. 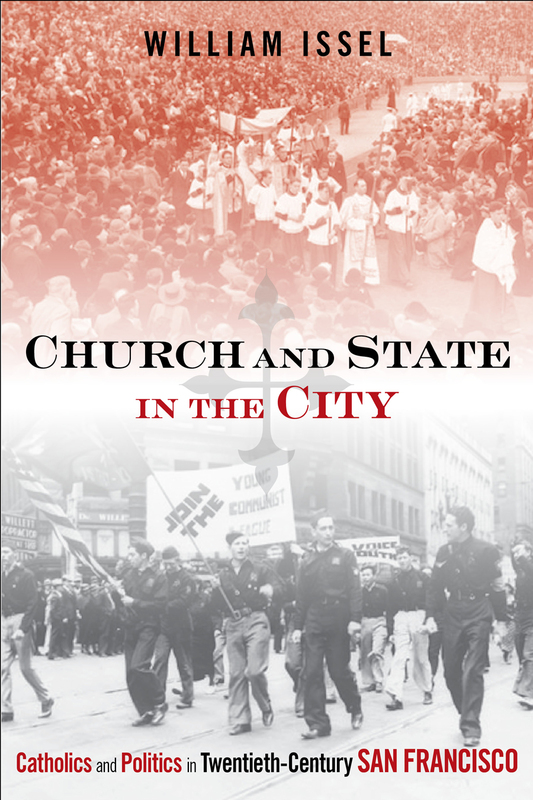 Church and State in the City makes a significant contribution to the scholarship that is currently “putting religion back” into American history, and it is the first to demonstrate the importance of the Catholic versus Communist/Socialist rivalry in a major American city for nearly a century, from 1890 to 1980. The book also demonstrates how European rivalries played out in a major American city and how both women and men were active on both sides of the Catholic Church versus Communist Party rivalry, from the Bolshevik Revolution to the last decade of the Cold War. In this blog entry, Rachel Clare Donaldson, author of “I Hear America Singing,” writes about the folk music that inspired her. 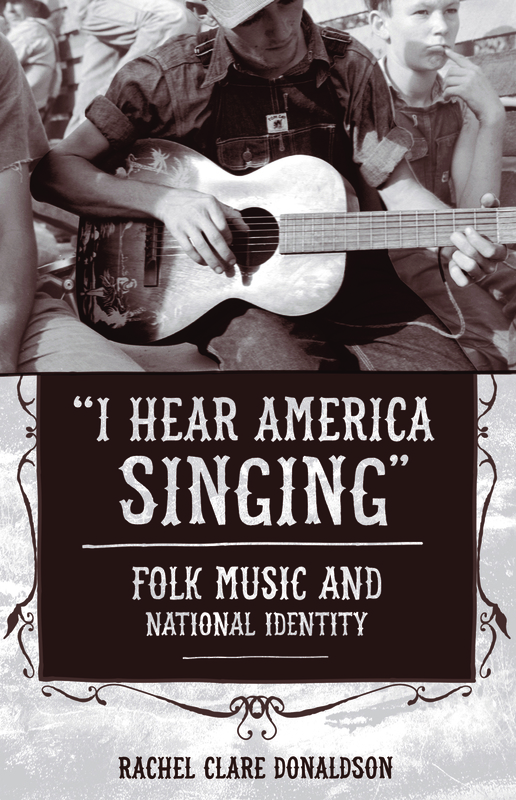 In 1997 Smithsonian Folkways released Harry Smith’s Anthology of American Folk Music on CD. I was in high school, working at a local record store and my boss proclaimed it to be the best release that year. At the time, folk music was going through something of a resurgence in popularity—Billy Bragg and Wilco had just released Mermaid Avenue, a collection of Woody Guthrie songs that he had never recorded, set to original music by the musicians. “California Stars” became a staple of my local radio station out of Woodstock, New York. (While this was popular with a host of people, try as I did, I could not convince the prom committee of my high school to use it as the theme song.) After learning to appreciate popular renditions of folk songs, I was ready for the “real” thing. I think I received the Anthology for my 18th birthday, and the music was like nothing I had ever heard before. The interesting part about this is that just as the Anthology introduced me to the world of folk music—or, more specifically, commercial recordings by both amateur and professional regional musicians during the late 1920s—it had done the same for a cohort of folk enthusiasts that were at least three generations older than I. The Anthology consists of selections from the massive personal collection of 78s that Harry Smith, a record collector and artist, compiled into six LPs released as a set through Folkways Records in 1952. When this hit the record shelves, or more likely the shelves of public and school libraries, it introduced young listeners to something completely different. Although these recordings were only twenty or so years old at that time, they sounded worlds away from the popular music of era. It was as if they came from an entirely different place—a place that music theorist and critic Greil Marcus referred to as the “old, weird America.” And the places that they did come from—small recording studios in the Mississippi Delta; Louisiana Cajun country; and towns like Bristol, Tennessee, among others—were entirely different from the urban neighborhoods and suburban communities where these young listeners lived. The music had an air of authenticity and oddity that contrasted sharply from the pop music of early Cold War America. The fact that Smith selected these recordings precisely because they were odd, and wrote cryptic liner notes to accompany the collection, only enhanced the Anthology’s aura of mystique. Indeed, it was the very same scenario for me, growing up during a time when boy bands and Brittany Spears dominated the pop charts. I continued listening to the Anthology (it provides an excellent background for writing papers) throughout college and graduate school, but never with the intention of turning it into a focal point of my first book, “I Hear America Singing.” As my interests turned from Medieval Studies to American Studies to southern labor history and then to the history of the folk music revival, I had the good fortune to study something that I loved. A fellowship at the Smithsonian Center for Folklife and Cultural Heritage, the home for Smithsonian Folkways Records, brought me back to where it all began. But, even though the Anthology has turned into a key component of my research, it still remains a fixture of my personal music taste. At the end of my wedding, when it took a few moments for our friend who did the music to load up the recessional song, Henry Thomas’s “Fishing Blues” (the last song on Volume Three), I explained to everyone that it was worth the wait, for this was perhaps the happiest sounding song of all time. I still believe that. It’s University Press Week! All week long university presses will be participating in the UP Week Blog Tour, where presses will be blogging each day about a different theme that relates to scholarly publishing. University of Illinois Press A post discussing the emerging topics and authors in our Geopolitics of Information series. University of Minnesota Press John Hartigan, participant in our new Forerunners (short-form publishing) series, is writing a post about the ways in which he uses social media to enhance scholarly connections and establish social-media conversations with regard to his research. University of Nebraska Press How should UPs be adding to the conversation on social media and who is doing it right? UNP marketing takes a look at the potential social media has for scholarly publishing. NYU Press A post on our forthcoming website for our book, Keywords for American Cultural Studies (Second Edition). Island Press A post about what our editors are paying attention to and why those scholars/fields are important. Columbia University Press Every Friday, the Columbia University Press blog runs a post called the University Press Roundup in which we highlight posts from around the academic publishing blogosphere. Our Blog Tour post will explain how and why we have made this commitment to a blog series that rarely features our own titles. We will discuss how university press blogs generate publicity for individual titles, but also provide a much-needed environment where scholarship can be presented for a general readership. November 12 – Subject Area Spotlight: Throwback Thursday: A look back at an influential project or series. Ask the Temple University Press staff for examples of influential scholarship and they respond unanimously with the books in the Asian American History and Culture series (AAHC). The series was founded in 1991 by Sucheng Chan and represented the Press’s commitment to an emerging academic field that has from the start been rooted in communities and unique experiences of race and ethnicity. Under the guidance of Temple University Press Editor-in-Chief, Janet Francendese and series editor Chan, AAHC books immediately began to shape the discipline. Pioneering AAHC titles such as Gary Okihiro’s Cane Fires (1992), Renqiu Yu’s To Save China, To Save Ourselves (1995), Evelyn Hu-DeHart’s Across the Pacific (1999), and Sucheng Chan’s Chinese American Transnationalism (2005), had a profound impact on scholars, many of whom went on to become Temple University Press authors. As the series evolved, it attracted young scholars who learned from their forerunners. Many authors appreciated the fact that the AAHC provided an outlet for Asian American scholarship at a time when it was not always easy to find one. AAHC books often addressed the relationship between ethnic studies and globalization when this kind of work wasn’t de rigueur. One young scholar, Belinda Kong, author of Tiananmen Fictions Outside the Square (2012), saw the series as a beacon for academic publishing. She became interested in work that had a transnational focus and linked Asian America to Asia, and saw in the series a home for her work. Other trends emerged as the series developed, and the AAHC positioned books in a field that had been shifting and changing—not unlike the demographics in Asian American populations. The Sum of Our Parts, edited by Teresa Williams-León and Cynthia Nakashima (2001), became a key text on mixed-race scholarship and continues to be frequently referenced. At a point when mixed-race studies primarily addressed black and white examples, The Sum of Our Parts put Asian Americans at the forefront. The AAHC series promotes rigorous scholarship on Asian America, but the series editors encourage scholars to push their work in new directions. As such, authors came to address a myriad of issues about identity and region within Asian America. Transnational scholarship became a significant focus around 2000, as scholars foundational to Asian American studies developed frameworks of analysis beyond the nation. Titles such as The World Next Door, by Rajini Srikanth (2005), about South Asian American literature, and Sunaina Maira’s Desis in the House (2002), about Indian American youth culture in New York City, reflected Indian culture at home and abroad. Likewise, This Is All I Choose to Tell, by Isabelle Thuy Pelaud (2010), and Transnationalizing Viet Nam by Kieu-Linh Caroline Valverde (2012), focused on Vietnamese American literature and culture in the diaspora, respectively. These and other books were integral to developing this academic exploration. The approach to the discipline exemplified in the AAHC series has been widely embraced; 9 of the 18 Association of Asian American Studies Presidents—Sucheng Chan, Gary Okihiro, Franklin Odo, Elaine Kim, Yen Le Espiritu, Rajini Srikanth, Rick Bonus, Josephine Lee, and, Linda Trinh Võ—have been Temple University Press authors. All but one of those scholars (Kim) have published in the AAHC series; her book was published before the series was established. Such influence is an accomplishment the press is particularly proud of. In addition to reporting on and influencing changes in the discipline, books in the AAHC series have won numerous prizes. Cane Fires received the Outstanding Book in History and Social Sciences from the Association for Asian American Studies (AAAS) in 1992, and since then, nine other titles in the series have won AAAS prizes. AAHC books have won various other awards as well. Six have been named “Outstanding Academic Titles” by Choice, the American Library Association publication. Other titles have won prestigious awards from the Gustavus Myers Center for the Study of Bigotry and Human Rights in North America, as well as from history, sociology, political science and LGBT associations. To date there are 65 books in the Asian American History and Culture series, more than any other press with a similar Asian American studies list. The authors cross disciplines, trained in a variety of fields in humanities and social science, which is unique for such a series. 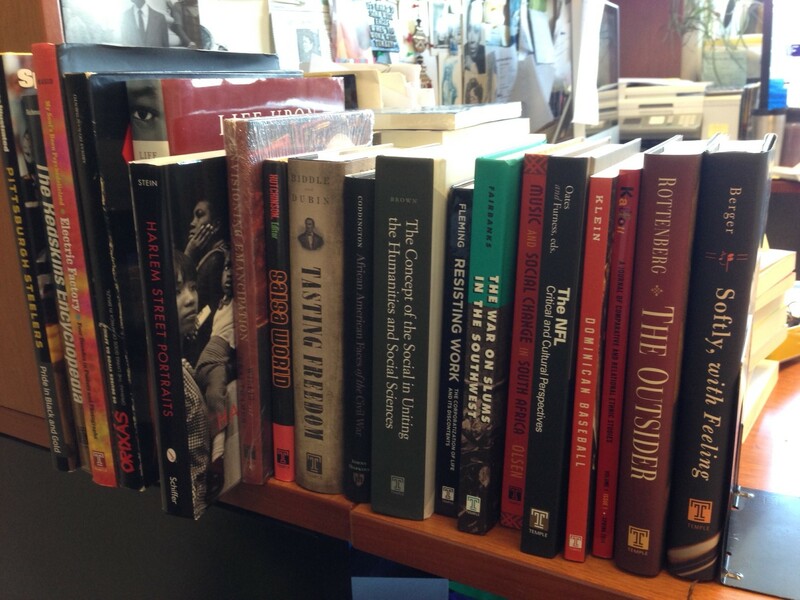 It will continue to grow as one of the key components of Temple University Press’ list. In time, the students of the current scholars influenced by AAHC titles will be publishing their books in the series, taking it into other new, exciting directions. University of Pennsylvania Press University Presses often publish works that cater to very specific niches. But they also publish books that reach a broader, general audiences. Princeton University Press An entry on The Imitation Game and our experience on the movie-tie-in edition of Alan Turing: The Enigma. University of Kentucky Press Highlighting our forthcoming biography on Dalton Trumbo, a Blacklisted Hollywood screen writer of films such as Spartacus and Roman Holiday and a member of the Hollywood Ten. He opposed the House Un-American Activities Committee. Bryan Cranston recently debuted the “Cranstache” at the Emmy’s, grown in preparation to portray Trumbo in an upcoming biopic directed by Jay Roach. Georgetown University Press A look at recent TV shows on spying (Turn, Sleepy Hollow, The Assets) and how our books give the historical background to the storyline. University of Mississippi Press We will be highlighting our book Walt Before Mickey which has been adapted into a movie set to open Thanksgiving Weekend. University of Wisconsin Press RIPPED FROM THE HEADLINES. We will highlight books that we’ve published just as an issue became important news, whether the issue was gays in the military, militarized police, torture, or immigration, and hopefully some lighter topics too! Indiana University Press A fun look at the history of our press as we celebrate our 65th anniversary next year. Stanford University Press Old black and white photos of the press and its printing facilities as they existed in the 1950s and 1960s that really highlight the artistry and crafstmanship that goes into print publishing. Fordham University Press A photo collage featuring FUP events and memorable moments over the years. John Hopkins University Press A Q& A with JHUP Art Director Martha Sewell and a short film of author and marine illustrator Val Kells in her studio. University Press of Florida A look at UPF in pictures through the years. University Press of Colorado will expand on our collaboration with the Veterinary Information Network on a recent textbook, Basic Veterinary Immunology. University of Georgia Press will expand on the New Georgia Encyclopedia (NGE) partnership, which includes the Georgia Humanities Council, UGA libraries, GALILEO, and the Press. The NGE is the state’s award-winning, on-line only, multi-media reference work on the people, places, events, and institutions of Georgia. University of California Press Authors Dr. Paul Farmer and Dr. Jim Yong Kim discuss the collaborative work they are doing to fight the Ebola epidemic in West Africa. University of Virginia Press An account of a collaboration between the Press and the Presidential Recordings Project at the Miller Center to create ‘Chasing Shadows,’ a book on the origins of Watergate, with a special ebook and web site allowing readers to listen to the actual Oval Office conversations. McGill-Queen’s University Press Elaborates on the title submitted for the online gallery: Landscape Architecture in Canada – a major national project with support from scholars across the country and published simultaneously in French and English by two University Presses. Followed by cross-Canada book tour, “CONVERSATIONS”, in partnership with the Canadian Society of Landscape Architects. Texas A&M University Press Focusing on a new consumer advocacy series launched earlier this year with the Texas A&M School of Public Health, whose mission is to improve the health of communities through education, research, service, outreach, and creative partnerships. Prepare to Defend Yourself . . . How to Navigate the Healthcare System and Escape with Your Life falls in line with the School of Public Health’s mission, as well as with its involvement in the Texas A&M One Health Initiative, a collaborative effort of multiple disciplines working locally, nationally, and globally to attain sustainable optimal health for the ecosystem. Project MUSE/John Hopkins University Press Project MUSE is the poster child for collaboration in the university press world, resulting from collaboration between a university press and university library. We’ll ruminate on collaboration in the university press world in general, drawing on specific instances of collaboration among university presses from MUSE’s history. MUSE Commons is a separate blog from that of our parent institution, JHUP. Yale University Press Mark Polizzotti, director of the publications program at The Metropolitan Museum of Art, New York, will contribute a guest post to our ‘Museum Quality Books’ series. The series consists of guest posts from the knowledgeable, erudite, witty, insightful, and altogether delightful directors of publishing at the museums and galleries with whom we collaborate on books. University Press of Chicago A post on the first year of the Turabian Teacher Collaborative, featuring guest content from one of the University of Iowa professors helming the endeavor; see this Q & A for additional info/general sensibility.